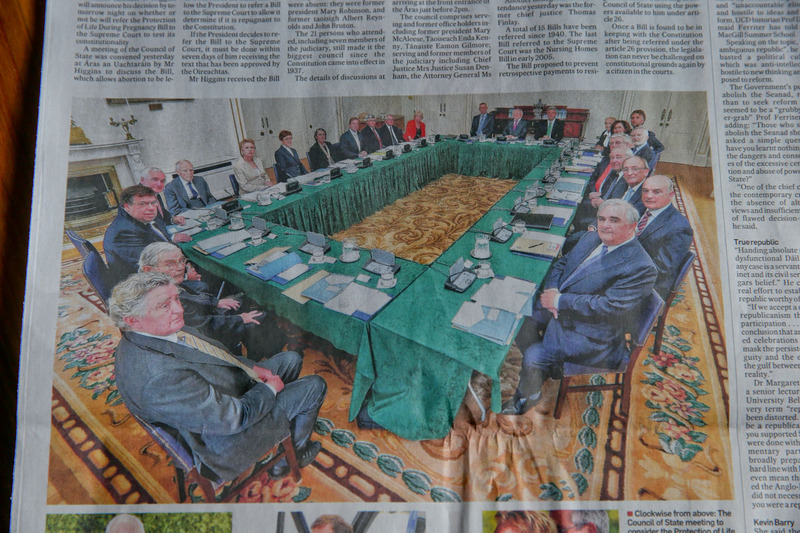 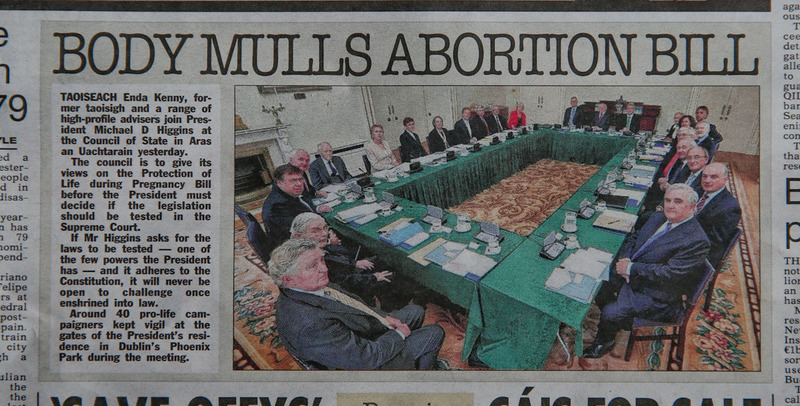 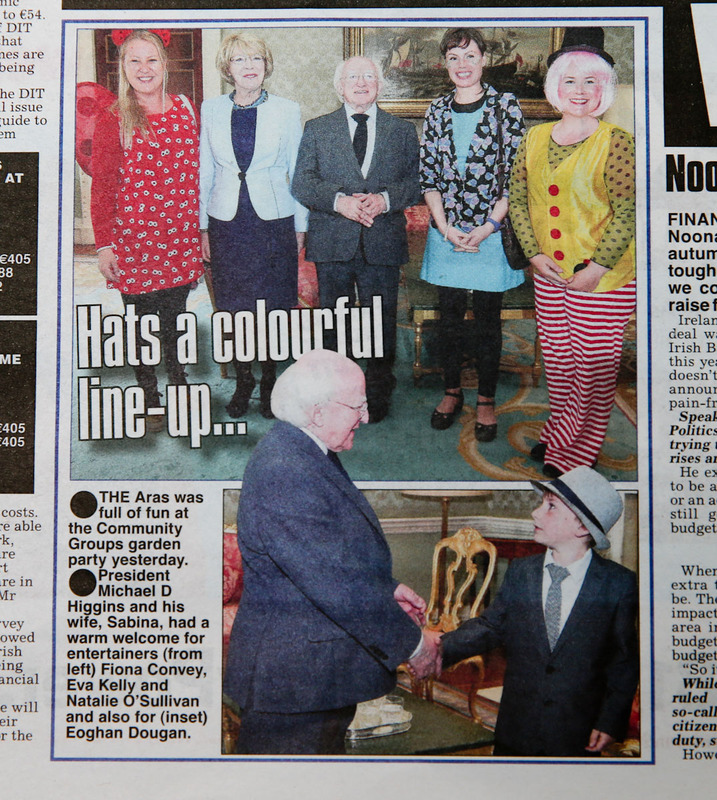 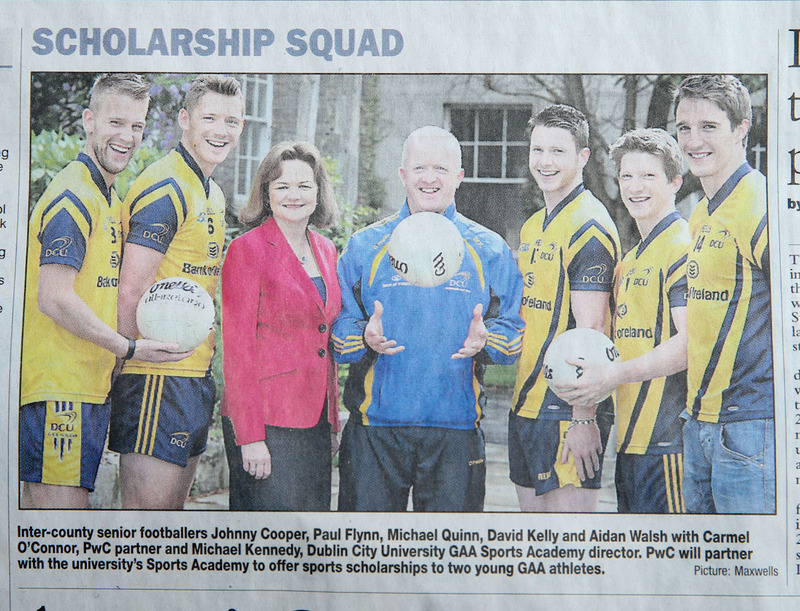 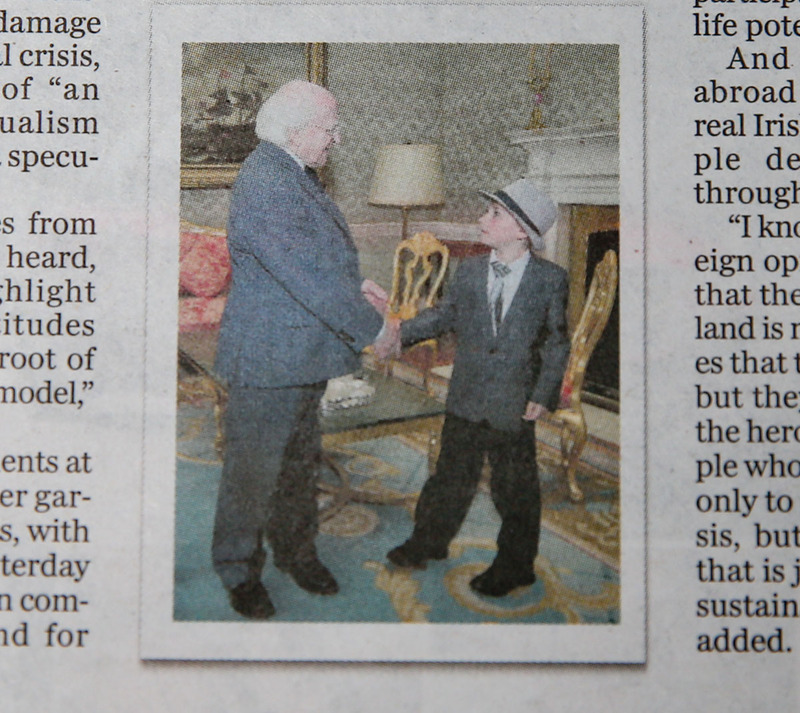 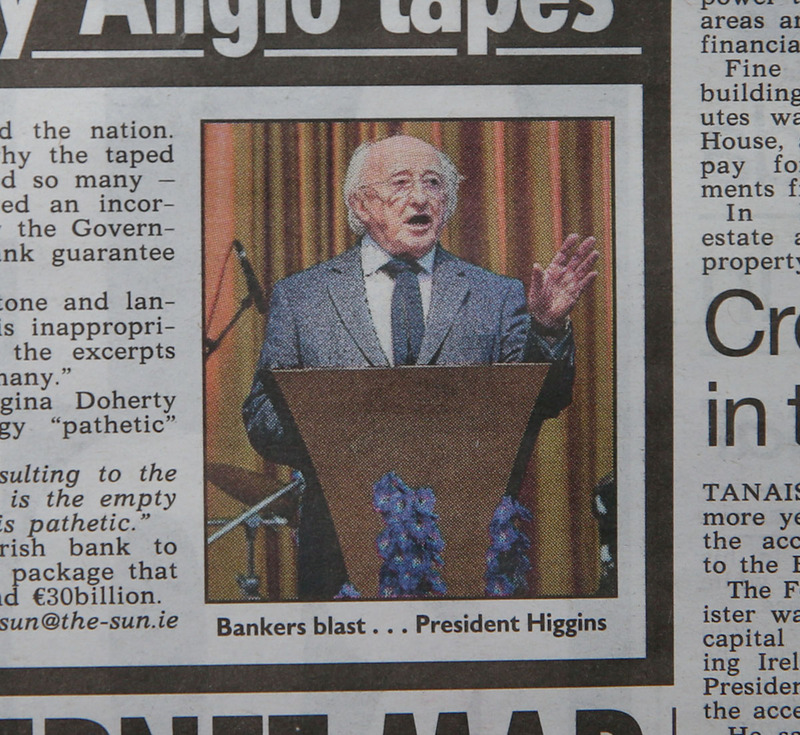 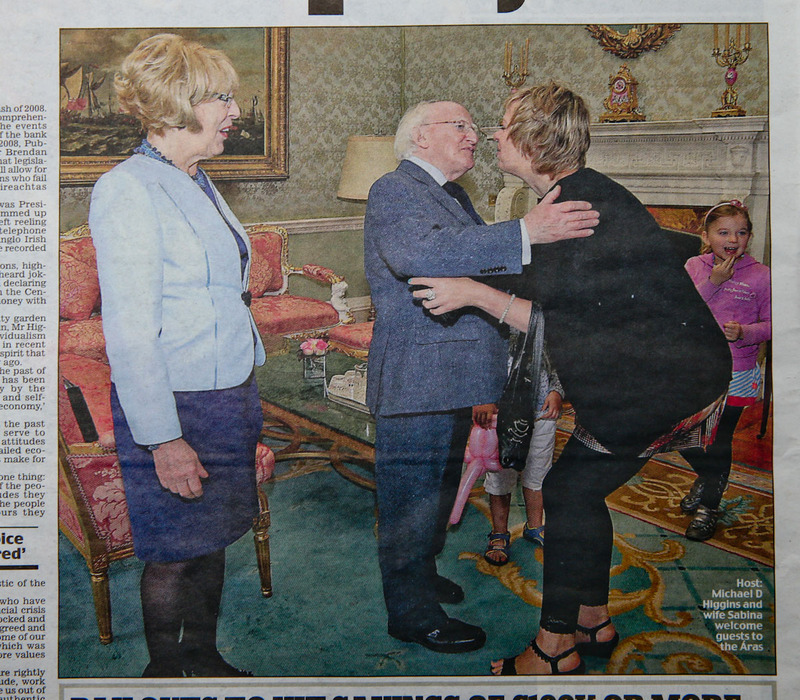 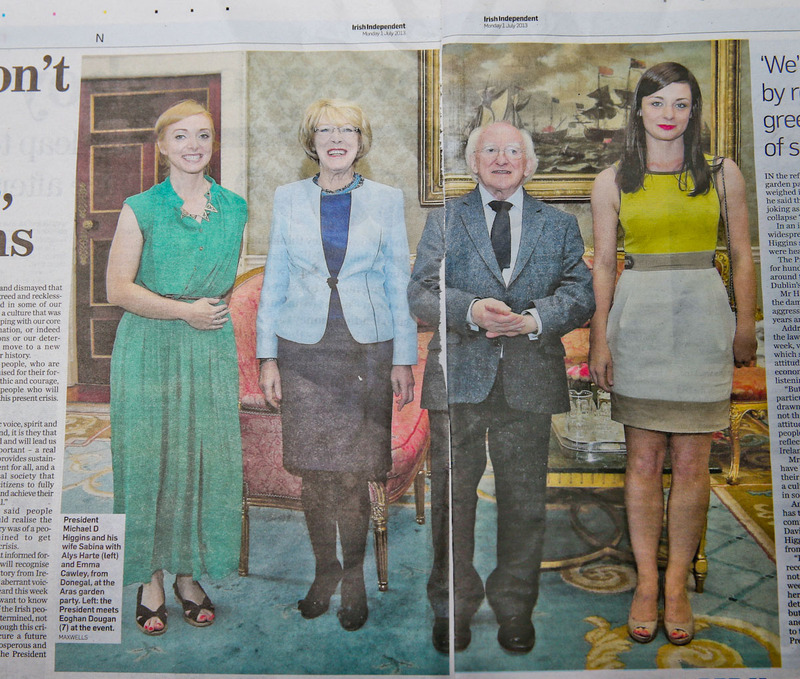 President convenes meeting of Council of State to consider the Protection of Life During Pregnancy Bill 2013…. 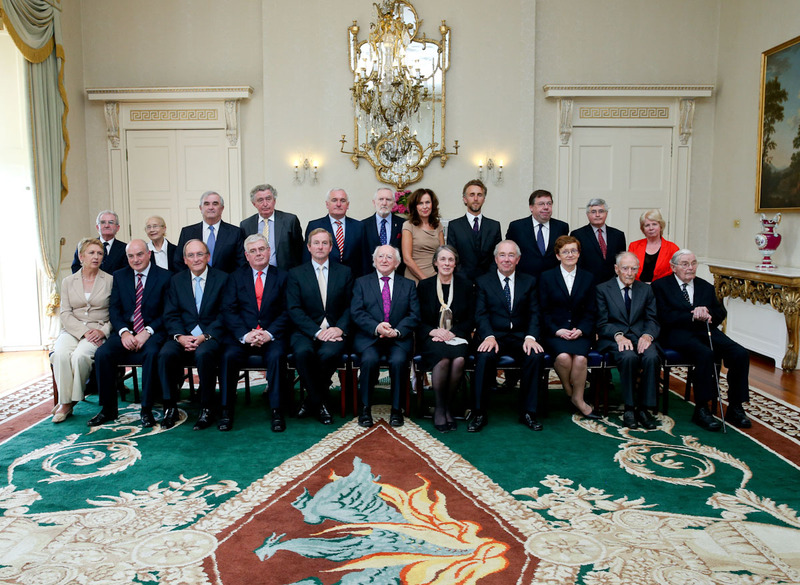 Table photo shows from left Right Honorable Justice keane , the Hon mr Justice Finlay , Mr Brian Cowen , Mr Bertie ahern , Mr Liam cosgrave , Professor Mary Mc Aleese , Ms Marie whelan Attorney General , Ms Susan Denham Chief Justice , An Taoiseach Enda kenny , Professor Gerard Quinn , Professor Gearoid o ‘ Tuathaigh , Ms Sally Mulready , Mr Adrian O’ Neill Secretary General , President Higgins , Mr Loughlin Quinn Dep Sec General , The Hon Mrs justice Catherine Mcguinness , Mr Ruari Mc Kiernan , Prof Deirdre Heehan , Mr Michael Farrell , Tanaiste Eamon Gilmore , The Hon Mr Justice Nicholas Kearns , Mr Sean Barrett Ceann Comhairle , Senator Patrick Burke Cathaoirleach and the Hon Mr Justice Murray . 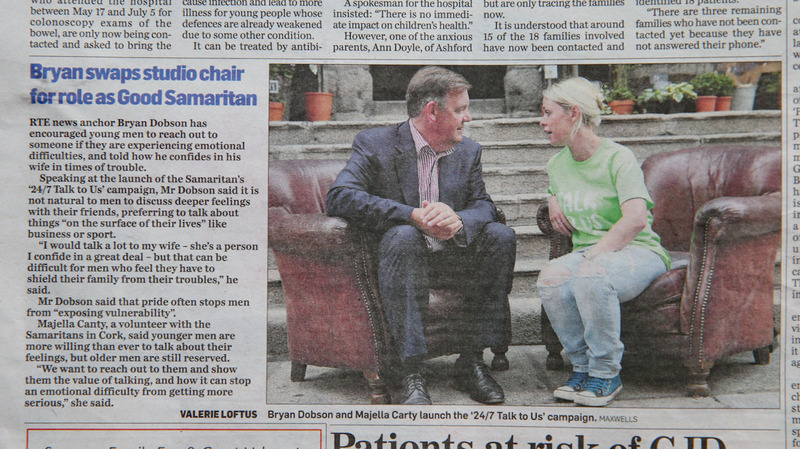 Launch of the Samaritans ‘24/7 Talk to Us’ campaign ,Samaritans holds a ‘24/7’ campaign on 24th July each year to highlight the fact that the organisation’s volunteers are available to talk 24 hours a day, seven days a week, every day of the year. 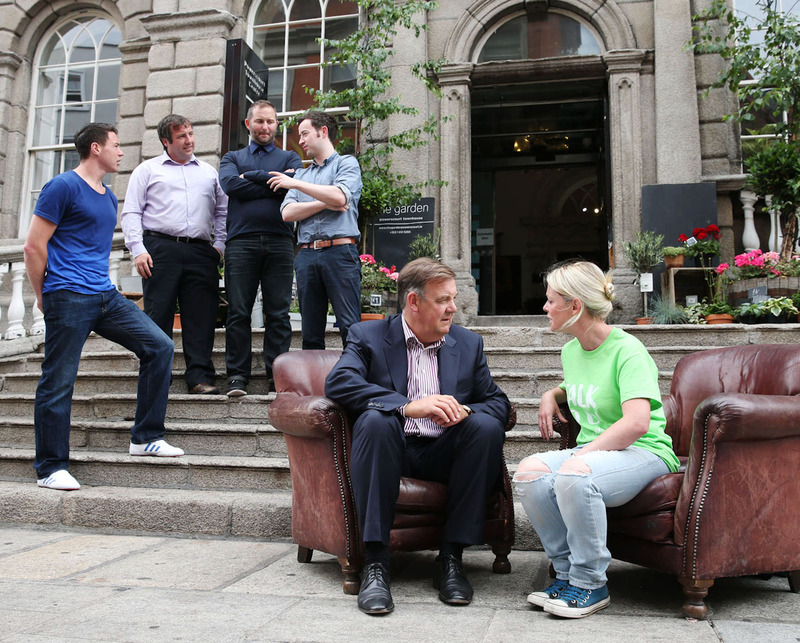 This year, the campaign is emphasising the importance of people talking about their problems and, in particular, is encouraging men to contact Samaritans if they feel in need of emotional support. 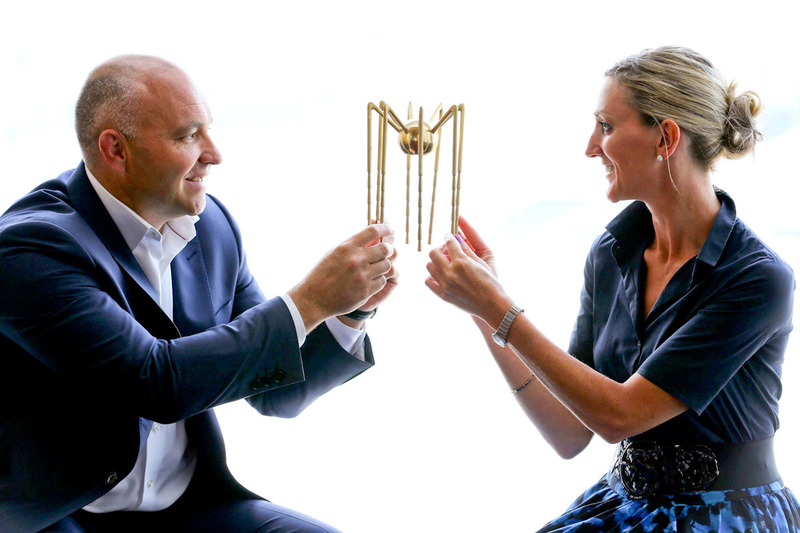 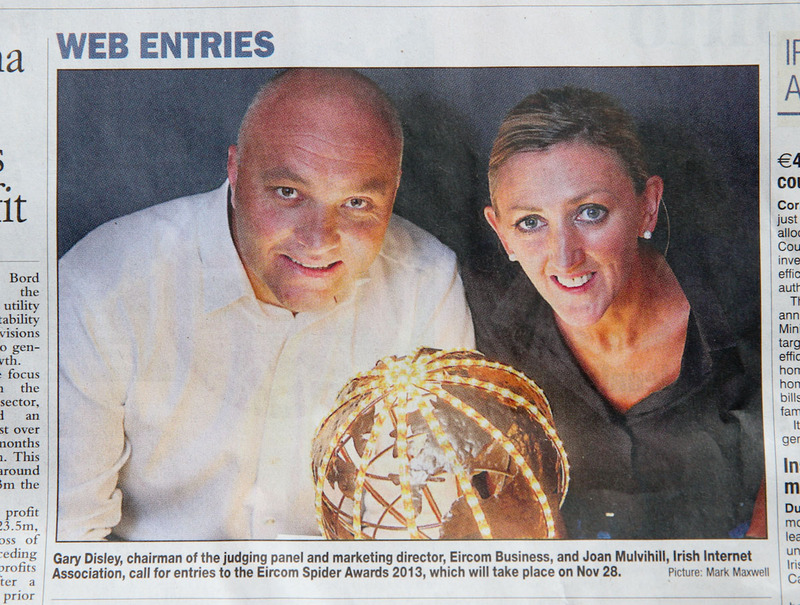 2013 eircom Spider Awards Pictured at the launch are Gary Disley, Chairman of the Judging Panel, Marketing Director, eircom Business and Joan Mulvihill, Irish Internet Association. 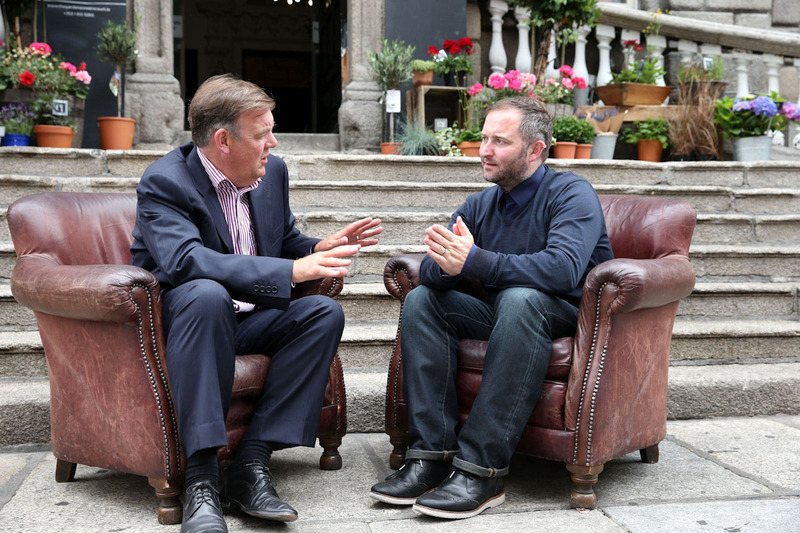 This year’s awards will take place on Thursday, 28th November 2013 in Dublin’s Convention Centre and will be hosted by leading comedian Neil Delamere. 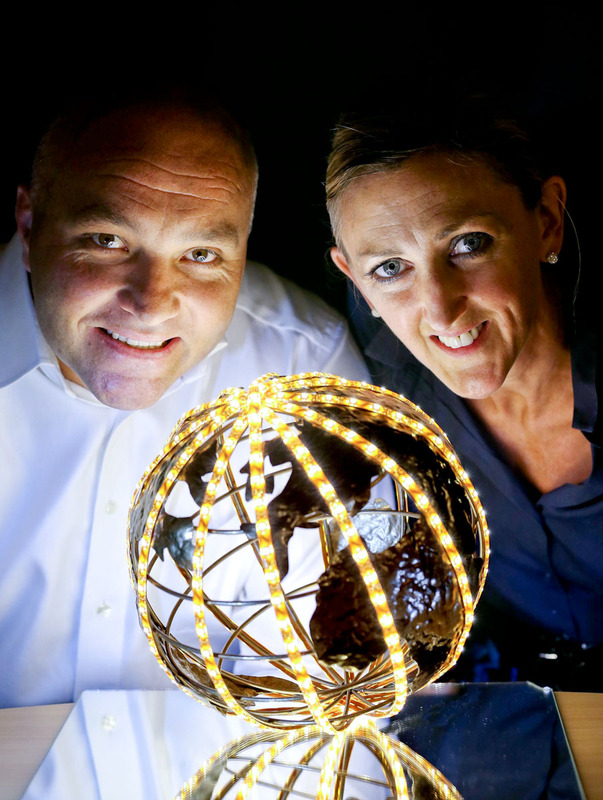 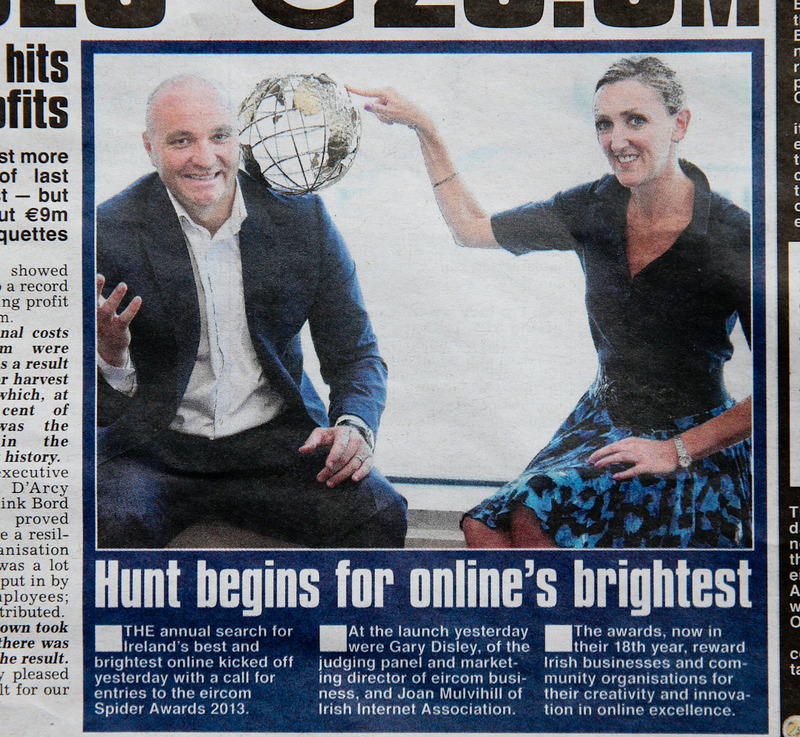 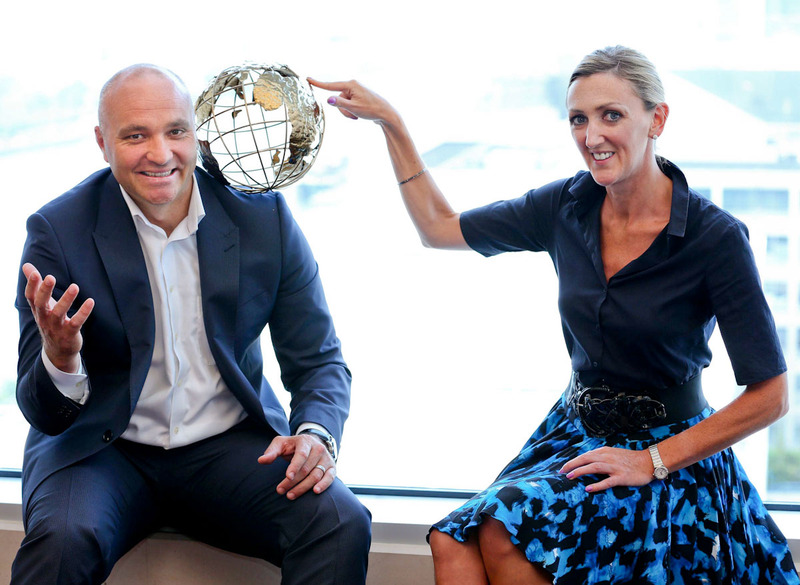 The annual search begins today for Ireland’s best and brightest online, with a call for entries to the eircom Spider Awards 2013. 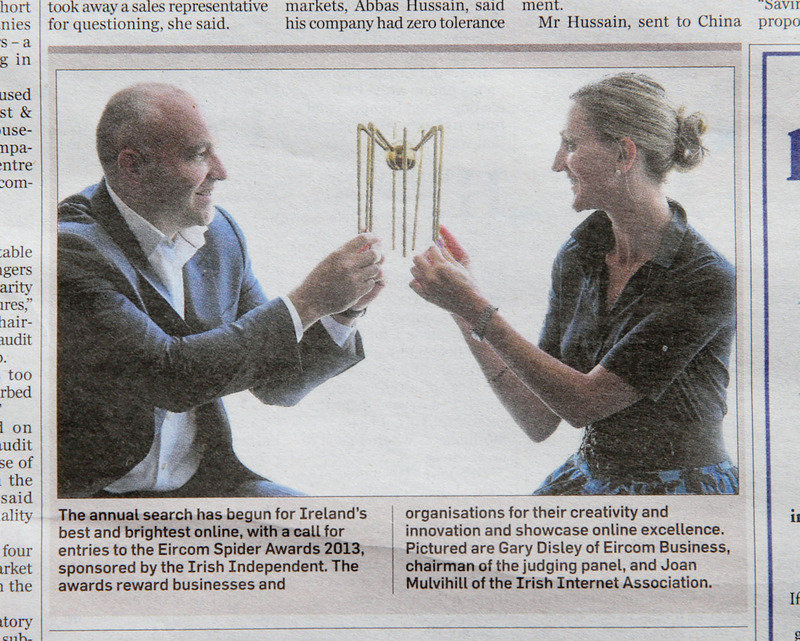 Entering their 18th year, the awards are the longest standing and most prestigious digital awards in Ireland. 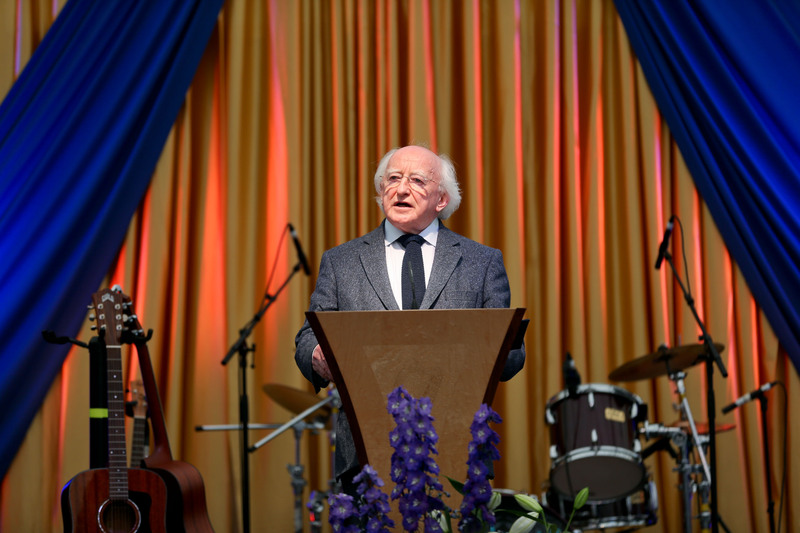 They reward Irish businesses and community organisations for their creativity and innovation and provide an important opportunity to recognise and showcase online excellence. 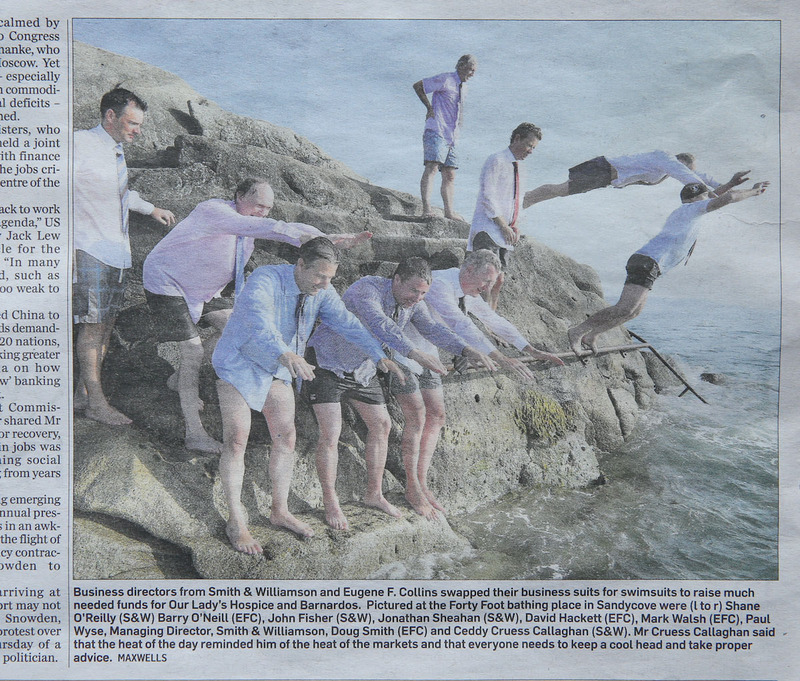 Business directors from two of Ireland’s leading firms, Smith & Williamson and Eugene F. Collins swapped their business suits for swimsuits to raise much needed funds for charity . 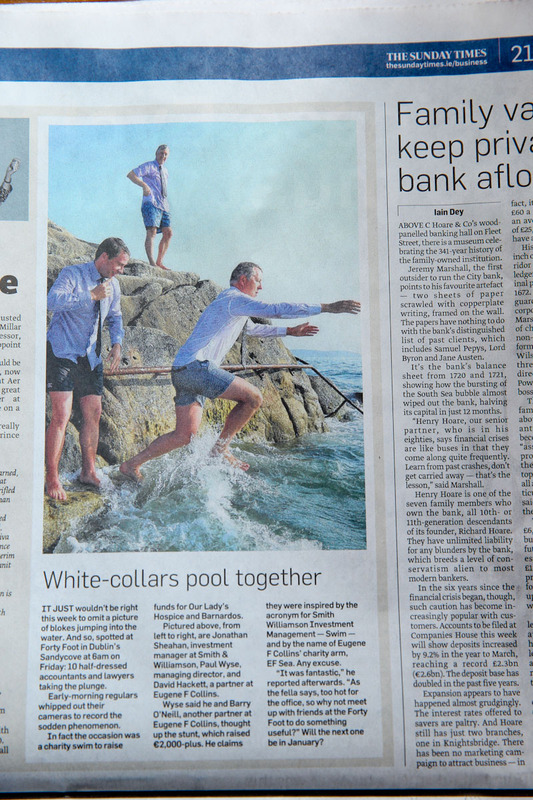 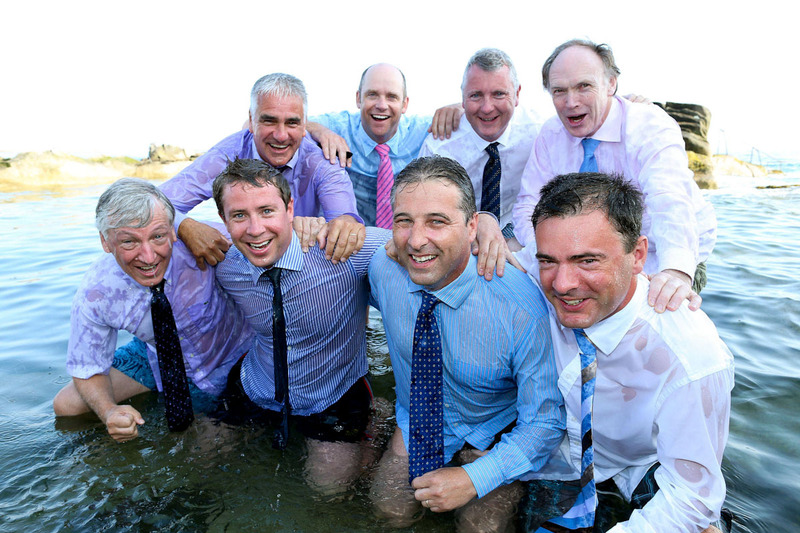 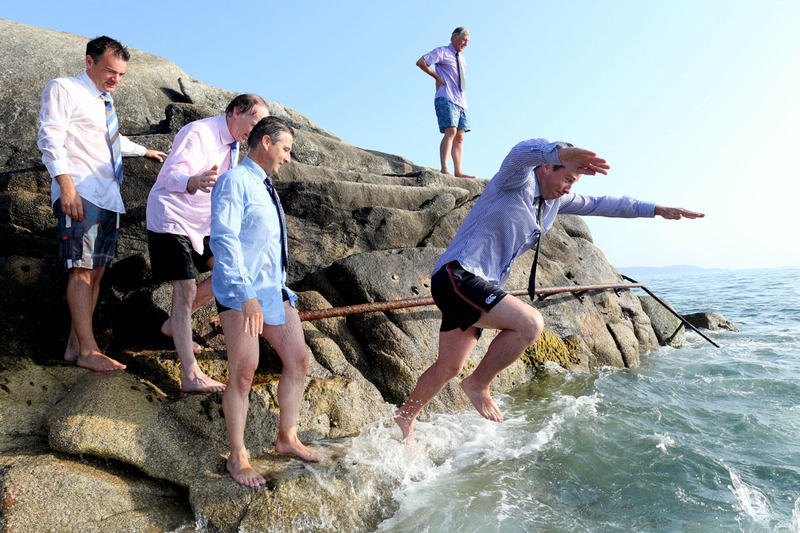 11 Executives took the plunge at the Forty Foot in Dun Laoghaire to raise funds for Our Lady’s Hospice and Barnardos. 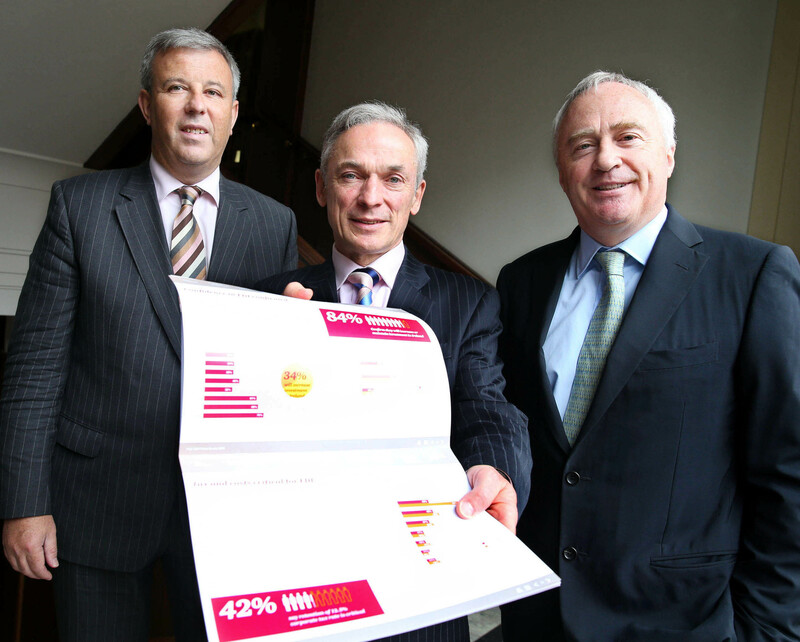 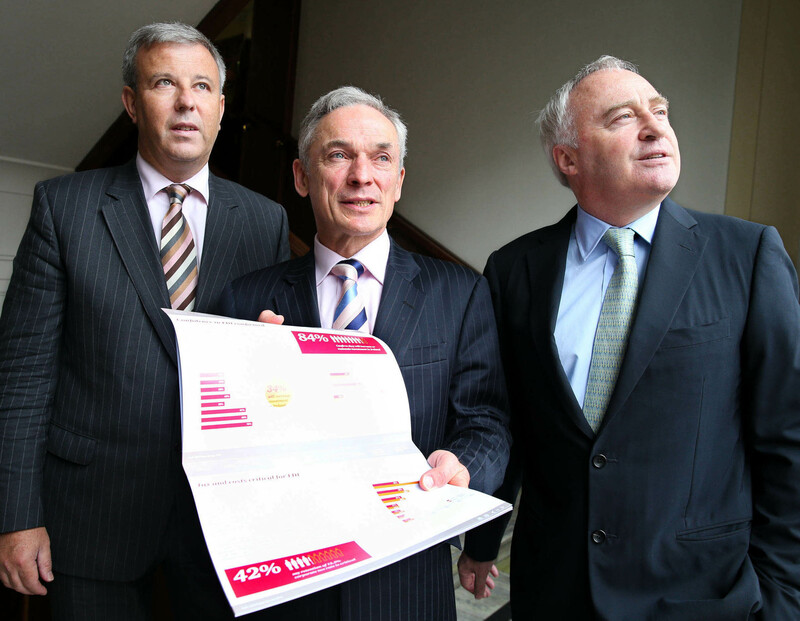 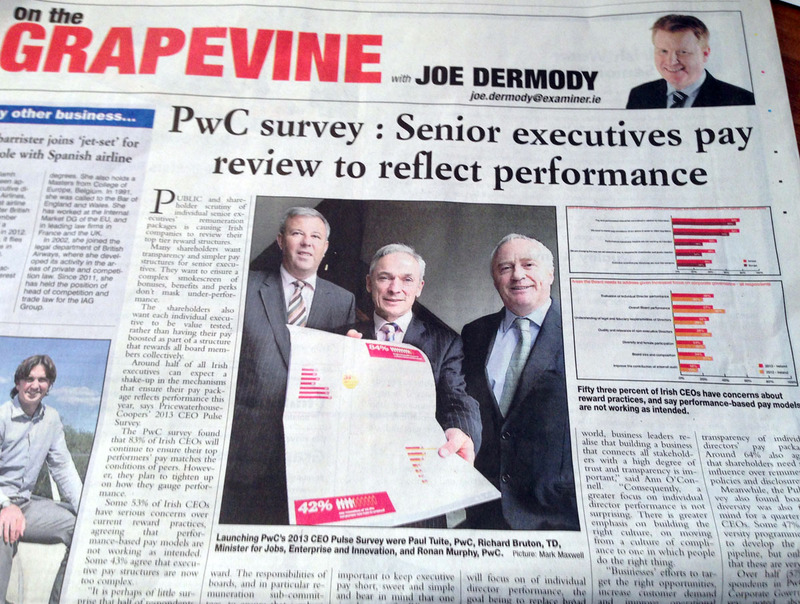 launching PwC’s 2013 CEO Pulse Survey (l-r) are Paul Tuite, PwC Advisory Leader; Richard Bruton T.D., Minister for Jobs, Enterprise and Innovation and Ronan Murphy, Senior Partner, PwC. 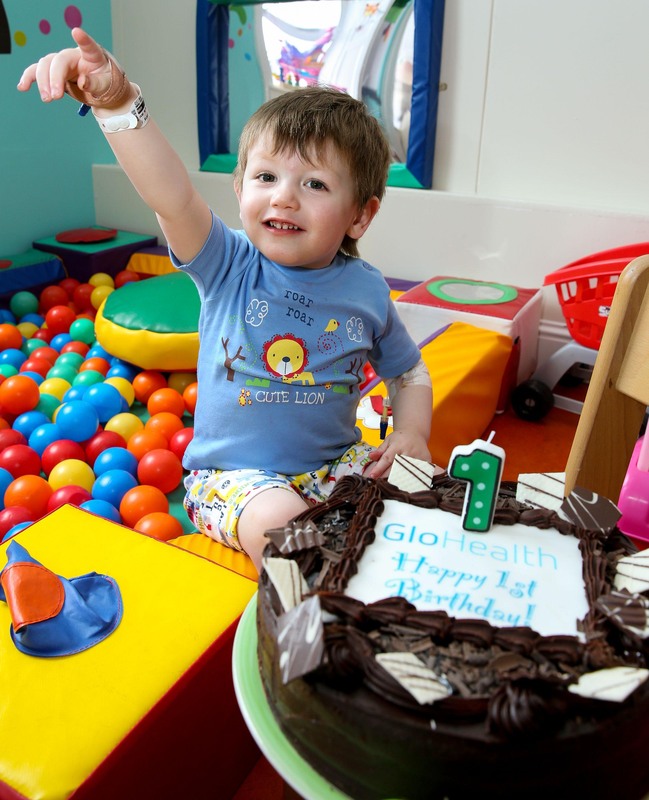 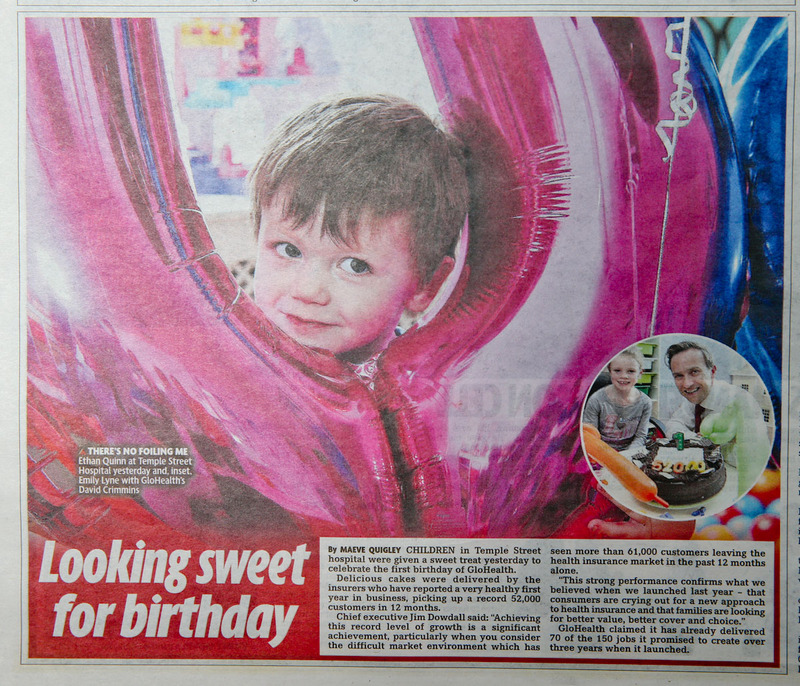 Ethan Quinn (2) pictured in Temple Street Children’s University Hospital for a little people’s party to celebrate the first birthday of Ireland’s fastest growing health insurance company in Ireland.The company attracted over 52,000 clients in its first year – one thousand new customers every week. 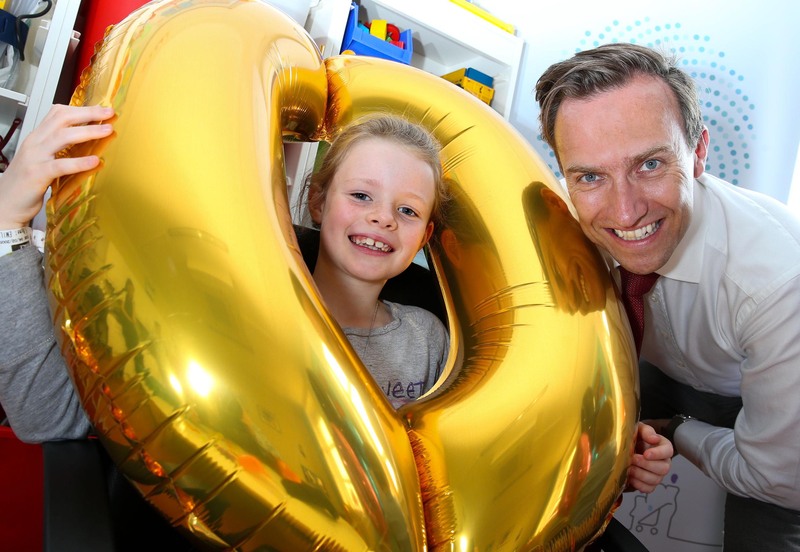 David Crimmins, GloHealth’s Commercial Director said that it was appropriate to visit Temple Street University Hospital on the company’s first birthday as GloHealth was committed to tailoring health insurance to suit the needs of families in Ireland.As part of the celebrations, GloHealth made a donation to the hospital and organised a special cake and entertainment for the patients. 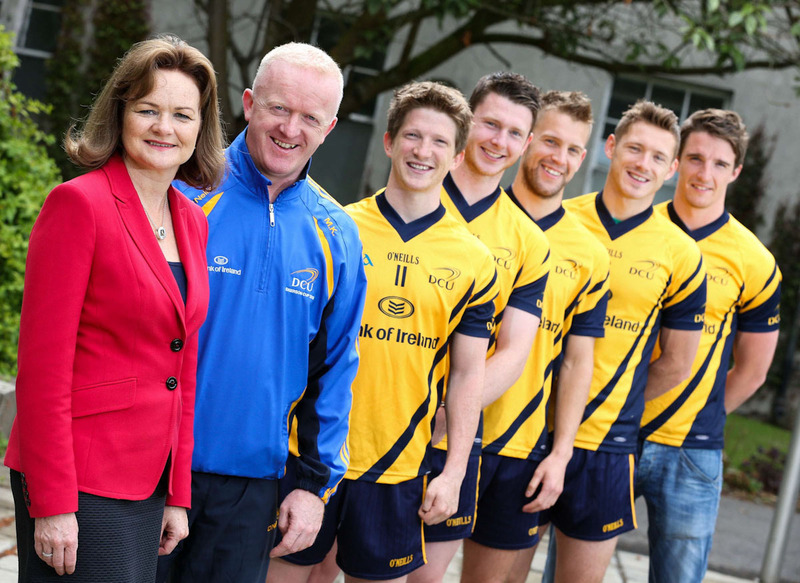 Over 800 Join Keith On The Run! 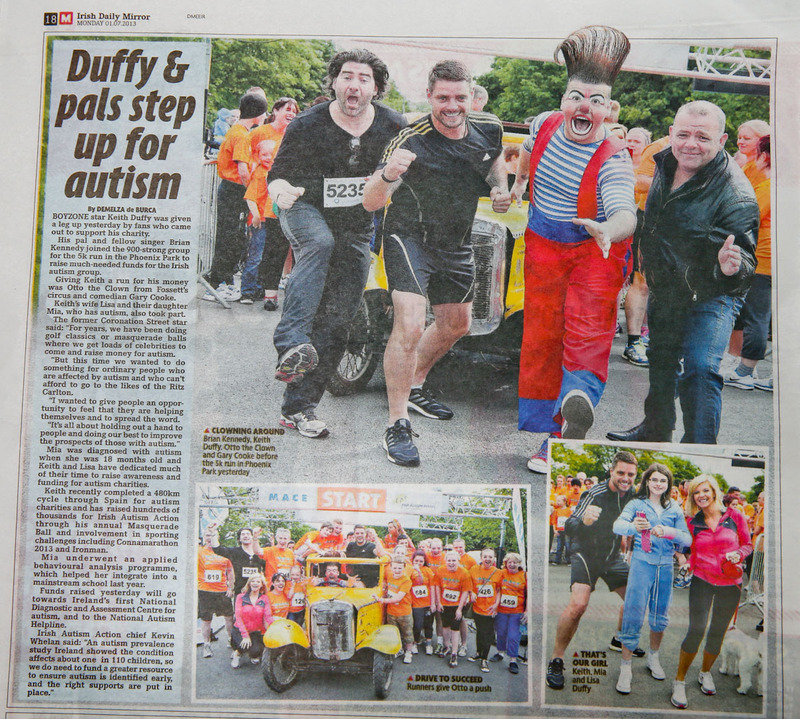 -Keith Duffy Phoenix Park 5K for Irish Autism Action . 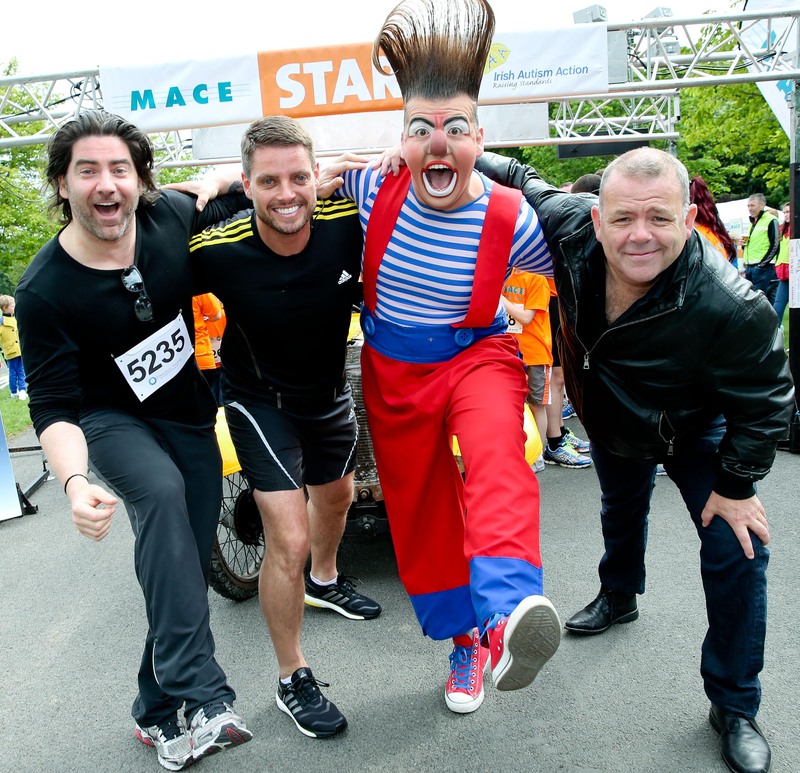 Pic shows Keith Duffy with from left Brian Kennedy , Otto the clown and Gary Cooke limbering up prior to their 5k run in the Phoenix park in dublin . 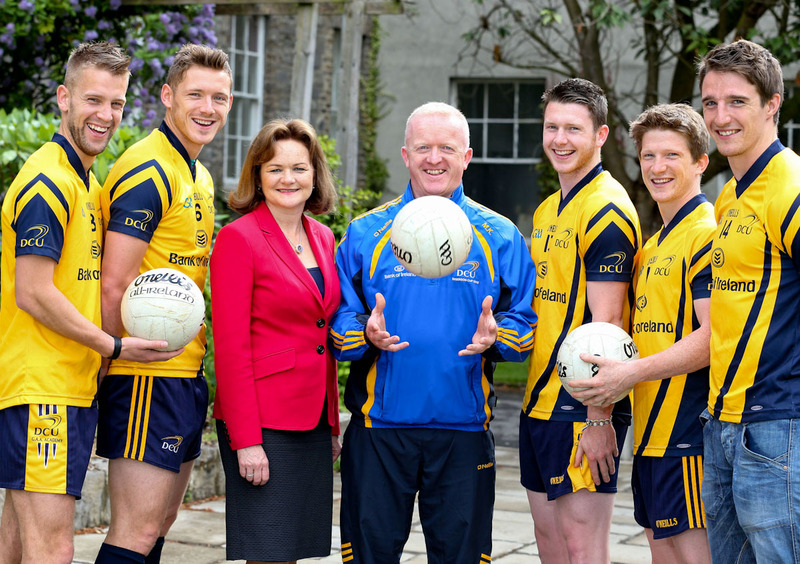 Keith Duffy, Ireland’s favourite musician, actor, and presenter was back in training; but the Boyzone star’s latest sporting challenge was just ‘a walk in the park’! 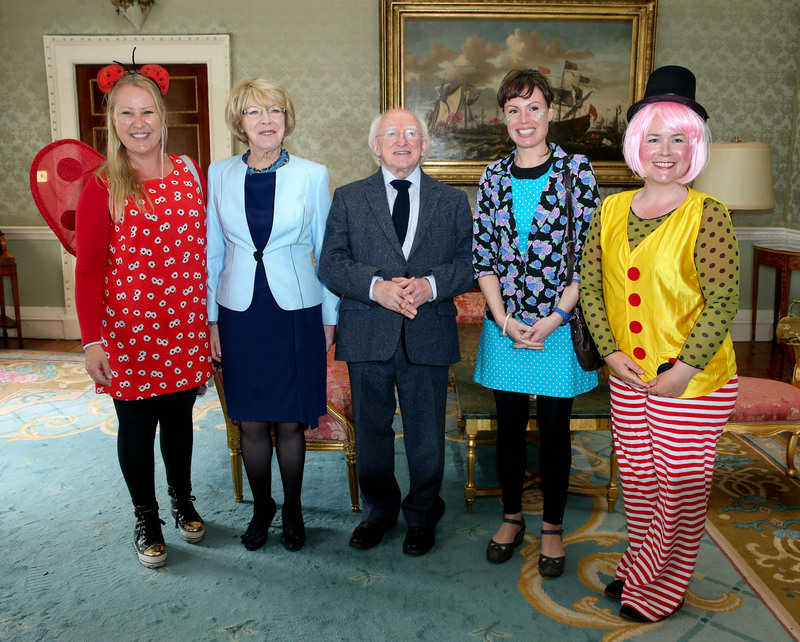 The patron of Irish Autism Action was leading a charity fun run yesterday morning Sunday, 30th June, in the Phoenix Park in Dublin, and welcomed the hundreds of people who walked, ran, or simply strolled the short 5k route around the park to help raise some much-needed funds for the Irish autism group. 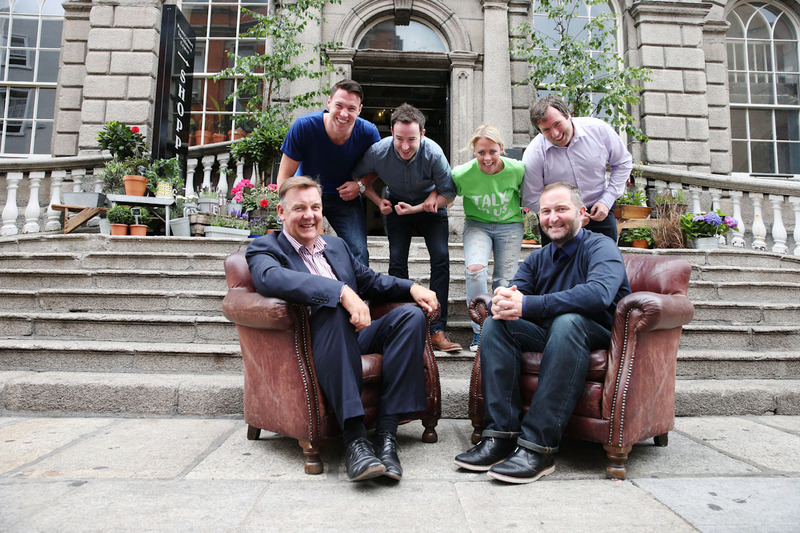 Funds raised by the Keith Duffy 5k will go towards Ireland’s first National Diagnostic and Assessment Centre for autism, and to the National Autism Helpline, which provides advice and support for people with an autistic spectrum disorder, and their families.